The comments below were offered by long-time GSA member Nina Fedoroff at a public meeting on updating the Coordinated Framework for the Regulation of Biotechnology held on October 30, 2015. 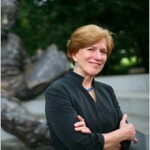 In addition to her academic research career, Dr. Fedoroff served as Science & Technology Adviser to Secretaries of State Condoleeza Rice and Hillary Clinton and U.S. Agency for International Development Administrator Rajiv Shah. The risks associated with the introduction of recombinant DNA-engineered organisms are the same in kind as those associated with the introduction of unmodified organisms and organisms modified by other methods. Assessment of the risks of introducing recombinant DNA-engineered organisms into the environment should be based on the nature of the organism and the environment into which it is introduced, not on the method by which it was produced. The president’s recent directive creates an unprecedented opportunity for the EPA, USDA, and FDA to 1) review the evidence that has accumulated in the intervening 30 years of biosafety research and field experience and 2) to move the regulatory system from de facto process-based to truly risk-based. Going forward it is critically important to facilitate the use of GM techniques in agriculture. The warming climate, among other factors, is changing pest and disease profiles and distributions. This necessitates far more rapid adaptation responses, particularly for crops, than can be achieved through the older breeding approaches. And because so many different crops and animals are being —and will be—affected, the participation of many more skilled scientists will be necessary to meet these challenges than just those employed by big biotech companies. Tragically, today our public sector agricultural scientists have all but ceased using GM techniques for crop and animal protection and improvement. This is largely because the cost and time involved in obtaining regulatory approval for a GMO release is simply prohibitive. It is therefore imperative that the present regulatory restructuring yields a framework that is truly risk-based and readily traversed at reasonable cost. The kinds of decision trees that should be developed, albeit based on current knowledge and decades of experience, we already laid out as long ago as the 1989 National Research Council report titled: Field Testing Genetically Modified Organisms: Framework for Decisions. This is especially important in the face of emerging gene modification technologies, such as the CRISPR/Cas system, that provide unprecedented control over what genes are modified and how—something that has never been possible in the entire history of agriculture. The views expressed in guest posts are those of the author and are not necessarily endorsed by the Genetics Society of America.